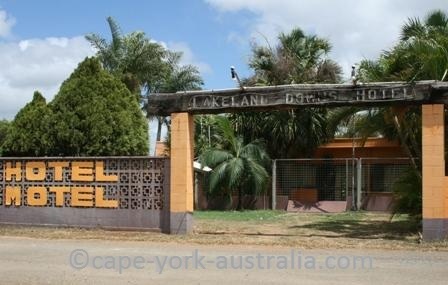 Lakeland Downs is more commonly known just as Lakeland. 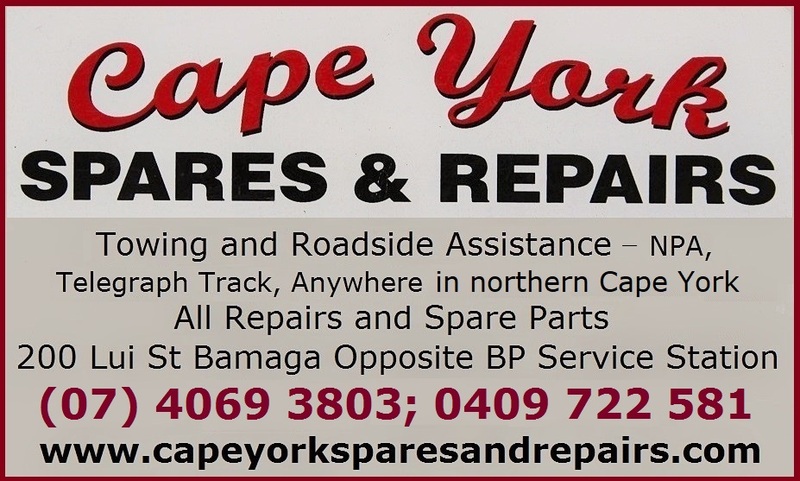 It is a small township on the crossroads of the Peninsula Developmental Road that goes north to the tip of Cape York, and Mulligan Highway that goes east to the coast to Cooktown. 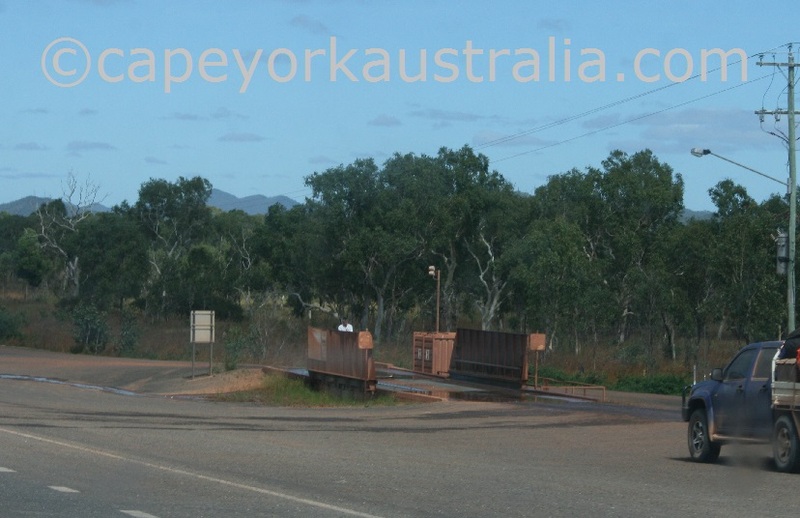 It is about 100km north of Mt Carbine and about 30km north of Palmer River Roadhouse. It is really small and there is nothing much to do there for travellers - except to fill up your tank, buy something to eat and drink, and stay over the night if needed. The road that comes in to the town is good and it is sealed. Enjoy it while it still is - after this township the roads are only partly sealed (UPDATE now sealed until Laura), and will get worse the further north you go. 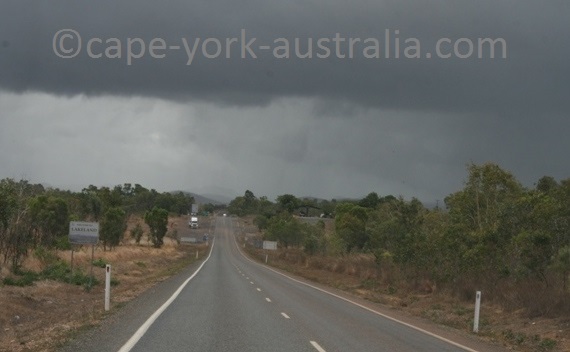 If you turn right to Mulligan Highway, the road is sealed all the way to Cooktown. 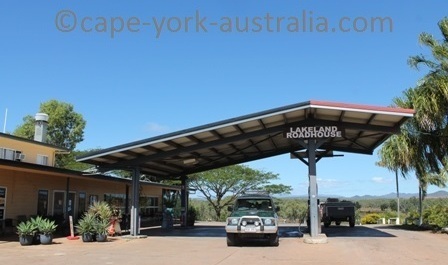 Right along the main road is the roadhouse where truckies stop for a meal, and where you can also fill up your tank and get something to eat. There is also a small shop with basic supplies, soft drinks, chips and take-away food. If you turn into the town, there is another similar place, but with better food and cheaper fuel. 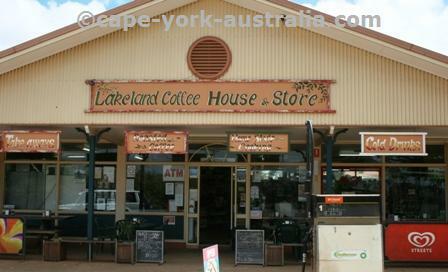 It is the Lakeland Downs coffee house and general store that also sells fuel, souvenirs, takeaway food and snacks, and basic supplies and groceries. 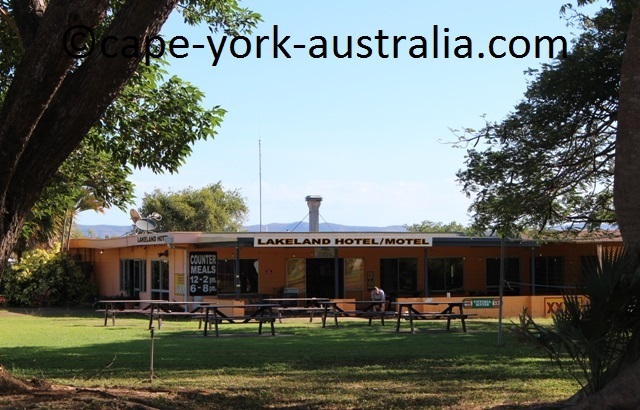 As every proper Australian country town, Lakeland Downs has a pub, which is also the town's only hotel. Like all the other proper Aussie pubs, it has a public bar with pool tables, meals and drinks, and a beer garden in the back. 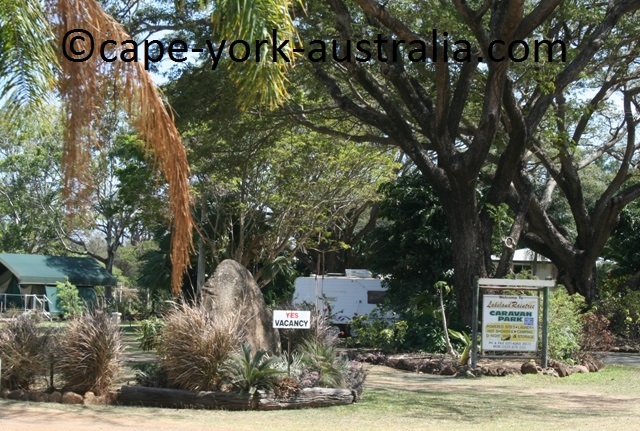 There is a nice caravan park in town, with shady sites and the usual amenities. They have units as well as powered and unpowered sites. You can store your caravan here if you decide not to drag it all the way to the tip of Australia. 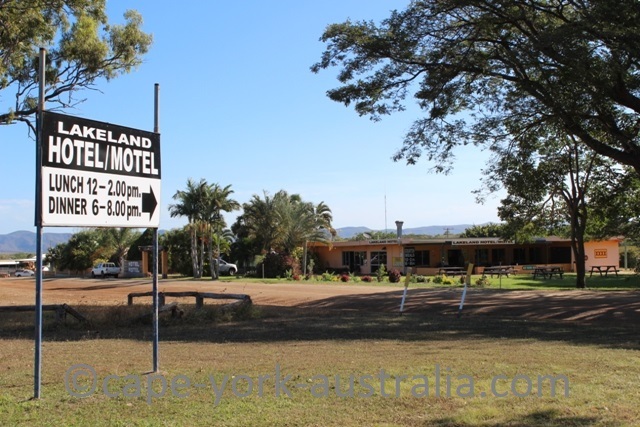 Lakeland Downs in Cape York, Australia, is only a small place and there is only one hotel - the Lakeland Downs Hotel Motel. Like other Australian country hotels, this is also the town's only pub. There is a public bar with the usual, like pool tables etc. And there is a beer garden in the back yard. 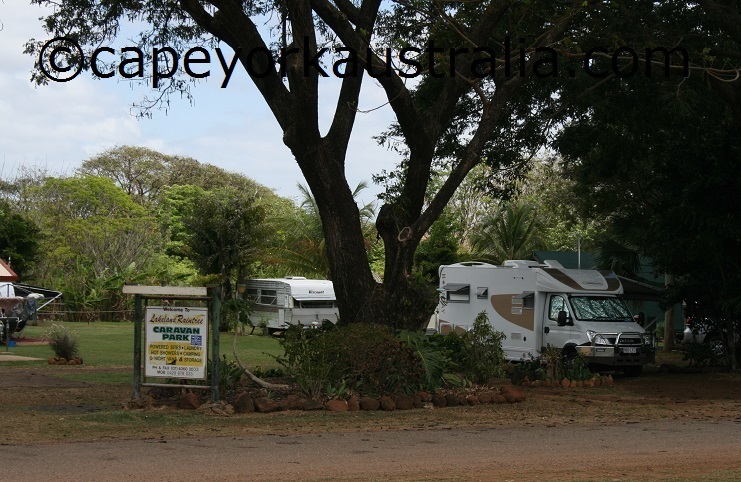 A good place to camp in Lakeland is the caravan park. It is a great park with nice managers and clean flash amenities. There are green lawns, shady sites and laundry facilities. 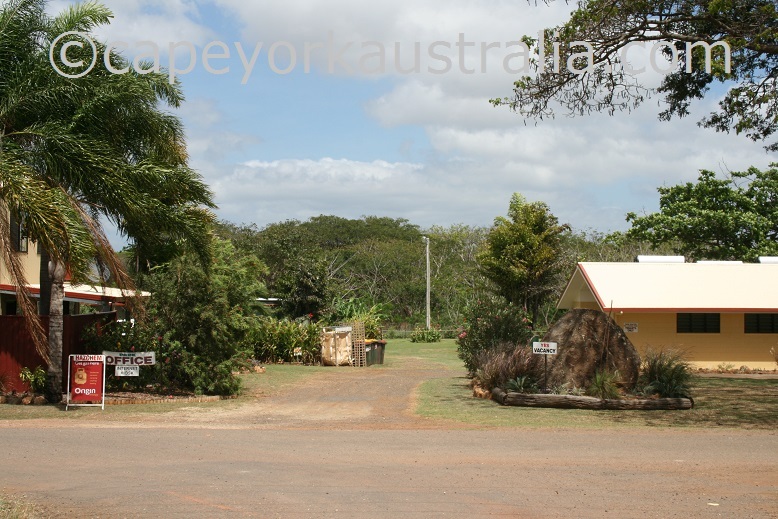 There is a small shop in the reception that sells souvenirs and some great books about the history and wildlife of Cape York. And you can store your van here if you don't want to take it up to the peninsula. 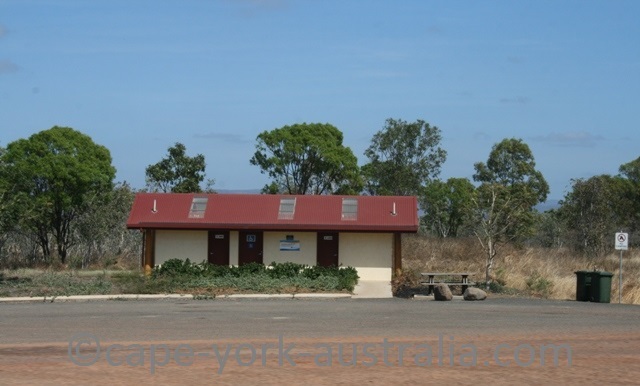 There is also a rest stop with toilets on the roadside. 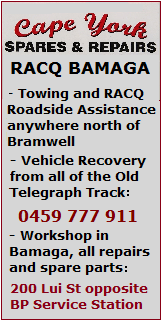 And there is a washdown facility where you should wash your vehicle on the way back down, not only to get rid of the red dust but also to not to spread any possible weeds to the rest of Australia.